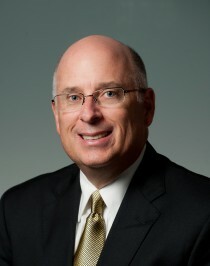 Peter Allen & Partners, LLC, is a unique source of expertise in all aspects of the “As A Service” economy. We are accomplished practitioners in the art of designing and implementing technology-enabled service models. You might think that the buyers and providers of services are pretty comfortable in how they go about their business. You’d be wrong. Companies of all sizes are seeking to buy/subscribe to business services in ways that promote agility – the ability to flex with the nuances of market changes. They are also looking to do business with market leaders that are committed to investment in difference-making offerings. Buyers want to do business under very different terms. Providers of services recognize that they are competing in a world where the rules have changed and the expectations are flipped. Customers are looking for defined and committed services, not order-takers waiting to be told what to do next. Providers of technology-enabled services need to structure themselves for a different competitive battlefield. And … along comes the Internet of Things (IoT) that promises to create entirely new service models through the interconnection of devices! Having earned valuable experience as the architects of outsourcing and shared services strategies, negotiators of hundreds of commercial agreements, and leaders of sales, marketing, and service delivery organizations, we have a unique perspective. We understand the ambitions and the challenges that buyers and providers are enduring. With our passion for innovation in the commercial business models that take advantage of innovations in how companies organize and operate, Peter Allen & Partners is the premier source of expertise to navigate the shift to the “As A Service” economy.